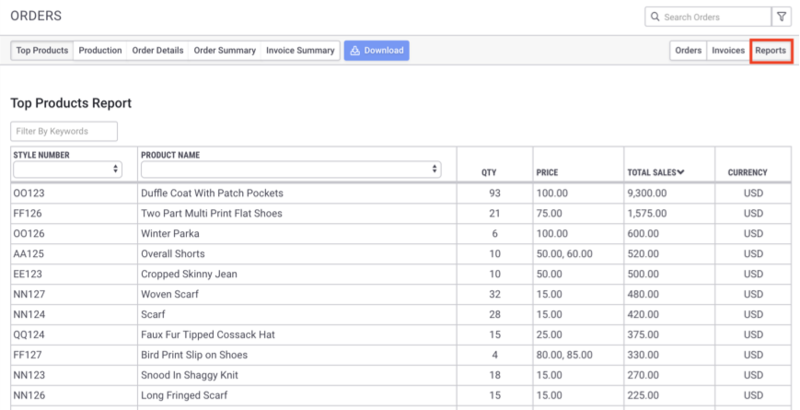 In your Orders page, switch to Reports by clicking Reports in the top right corner of the page. next to the search bar in the top right corner, to further refine your report. Production: View the total quantities ordered per SKU or Style-Option-Size. This is a report you can take to production to make your buys from the factory. 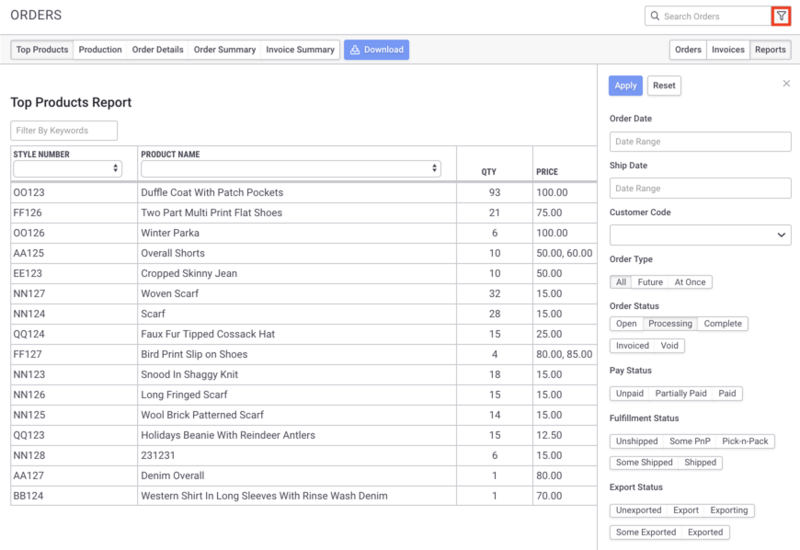 You can also filter for different order dates, ship dates, sales rep, etc. Order Details: View a detailed report about each order, and the products in the order. Variables include all the choices besides SKU, total order QTY, and total order value. 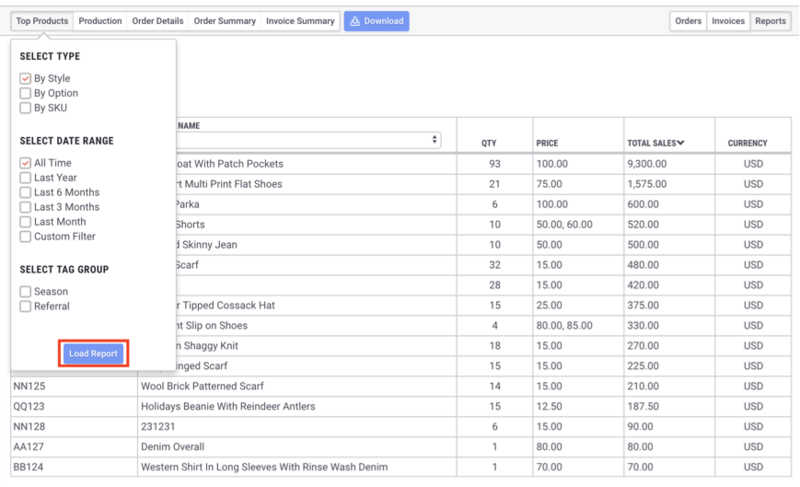 You can also filter for different order dates, ship dates, sales rep, etc. Order Summary: View a brief summary report based on total order QTY and/or total order value.